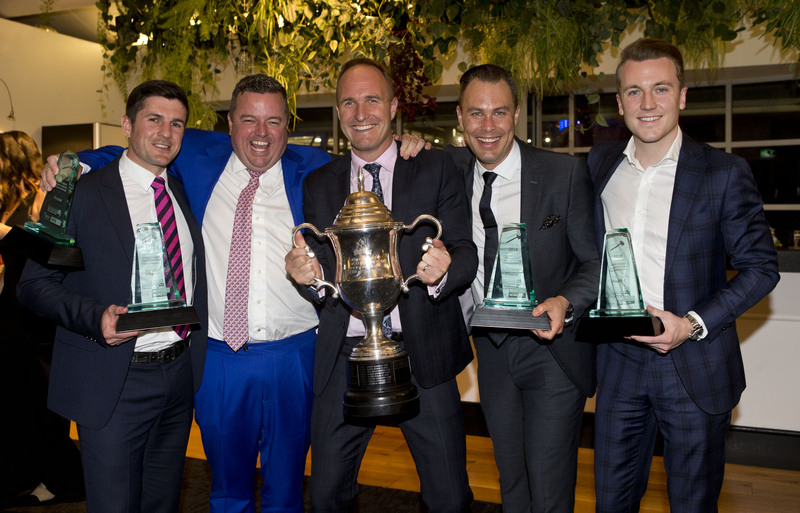 Andrew North of New Zealand has been crowned the Real Estate Institute's Australasian Auctioneer of 2018, while Vincent Doran from Underdale High School in South Australia won the Australasian Schools Auctioneering Championships overnight in Auckland. 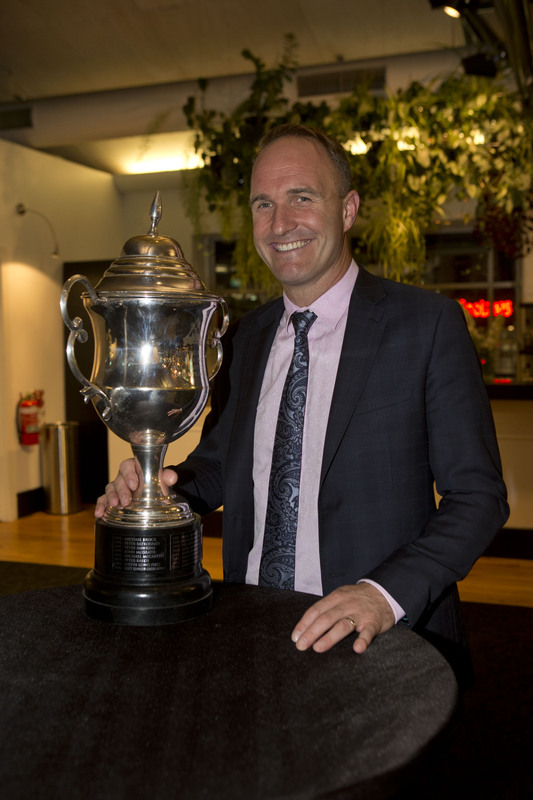 Andrew North from Harcourts Cooper & Co was announced the winner of the 2018 Australasian Real Estate Institutes’ Auctioneering Championships at a gala dinner held in Auckland overnight. Andrew brings the trophy home to New Zealand after the cup being in Australia for the past three years. Andrew beat 16 other competitors to take out the top gavel in the 20th edition of the Australasian Auctioneering Championships. “I just go out to do the best job for my customers and my company so I’m extremely grateful, happy, proud and relieved to have won," Mr North told WILLIAMS MEDIA. Pictured: Andrew North of Harcourts Cooper & Co is the winner of the 2018 Australasian Real Estate Institutes’ Auctioneering Championships. Image by REINZ. Bindi Norwell, Chief Executive at REINZ told WILLIAMS MEDIA, “Congratulations to Andrew on being awarded the title of the best auctioneer in Australasia – the calibre of this year’s entrants was extremely high, and it was an incredibly tough competition. Tonight’s win is something Andrew can be extremely proud of – especially considering the difficult bidding sequence competitors were set by our Chief Judge." Mark Sumich, Chief Judge says: “Over his years in the competition, ‘Northy’ has made the finals seven times, so there is no one who deserves to win it more than him. Yesterday afternoon, the five finalists, Bronte Manuel (SA), Mitch Peereboom (QLD), Andrew North (NZ), Alec Brown (ACT), and John Bowring (NZ) competed for the prestigious prize at the spectacular two-day event hosted by The Real Estate Institute of New Zealand (REINZ). “Yesterday’s competition was extremely tough and there was an incredibly high standard displayed by all the competitors. This afternoon’s final was extremely nerve wracking for the audience, let alone for the finalists standing on the stage," Ms Norwell told WILLIAMS MEDIA. 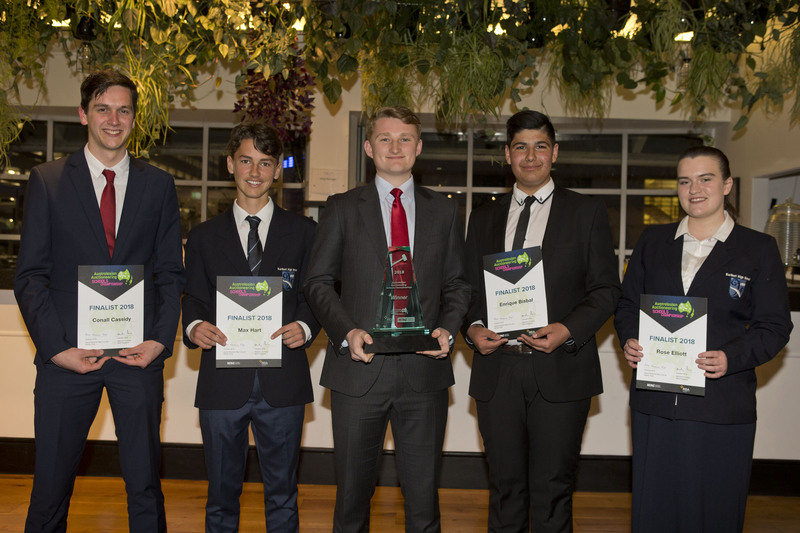 “This is the first time that Secondary Schools Auctioneering Championship has had students from a New Zealand high school in the competition. It is great to see this competition growing and evolving over the years as more students recognise some of the wonderful transferrable skills auctioneering can offer in a wide range of careers, such as confidence in public speaking." The winner of the 2018 Australasian Schools Auctioneering Championships was Vincent Doran from Underdale High School in South Australia. “I was extremely impressed by the skill and courage displayed by all of our competitors in the Schools Championship. They can all go back to their respective schools with their heads held high that they gave their all throughout the competition," Ms Norwell said. 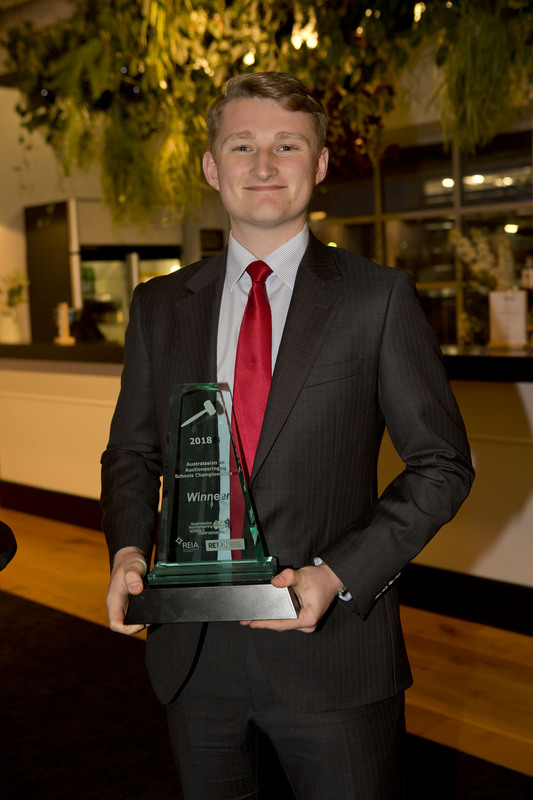 Pictured: Vincent Doran, winner of the 2018 Australasian Schools Auctioneering Championships. Image by REINZ. "Congratulations to Vincent – he gave a magnificent performance today at the Q Theatre that was sharp, accurate and with the right dose of humour. His performance clearly impressed the judges and was enough to clinch the win." Commenting on the Schools Championship, Chief Judge Mr Sumich says Mr Doran displayed all the qualities of a great auctioneer in his call. Pictured: The schools finalists (From L to R) Conall Cassidy, Max Hart, Vincent Doran, Enrique Bisball, and Rose Elliott. Image by REINZ. The Australasian Auctioneering Championships are jointly conducted by REINZ and the Real Estate Institute of Australia (REIA) and are only held in New Zealand once every four years.